Hygienist Karen Kearns flossing Christina's teeth. Dental Floss properly used remains the best way to remove the bacterial plaque from in-between teeth. Water irrigation or air floss is fine for debris or food lodged between teeth. The sticky bio-film that causes decay and gum disease is most efficiently removed with dental floss. Use un-waxed thin floss that frays. Will not leave a wax residue. Floss between the gum and the tooth. Pull tight against the tooth. Remove floss stuck between the teeth with waxed floss or dental tape. Tie a knot in the floss or tape. Pull floss or tape out through the side once it is between. Remember the more you floss the easier it becomes. 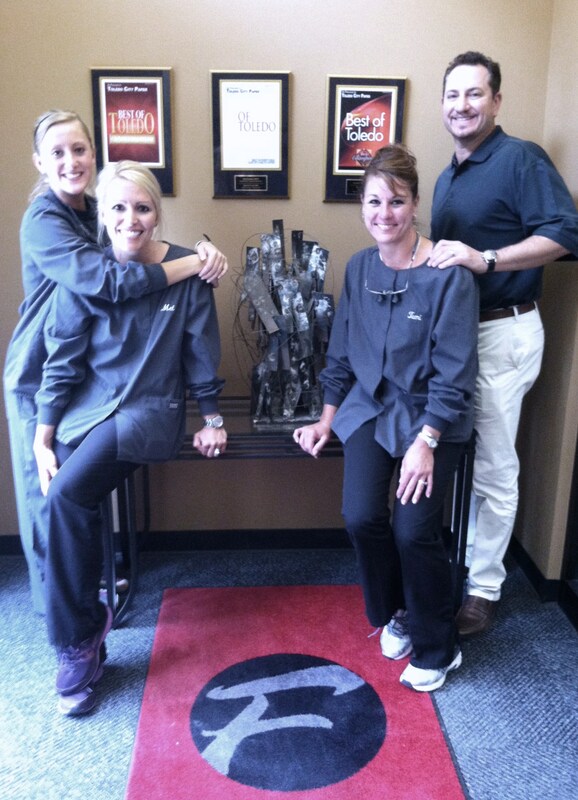 Toledo, Ohio Dentist Jon Frankel has great friends. Former Professional Basketball Players, Todd Mitchell and Jim Jackson have offered their time and talents to Ohio Area Youth for over 20 years. Registration is currently open for the 23rd Annual Mitchell-Jackson Basketball Camp. The Camp is for Boy and Girls, grades 5 through 11 who love to play basketball. The 2013 camp will be held daily July 8th through July 11th from 8:30 am to 4 pm at St. Francis High School in Toledo, Ohio. It offers 4 full days of instruction and game play with Former NBA Players Todd Mitchell and Jimmy Jackson! Check out their website, WWW.TODDJIMMYHOOPS.COM. This week at Jon Frankel Dentistry we are celebrating Father’s Day. One of our favorite Dads is patient, Jim Jackson. Check out this article from Toledo City Paper, Volume 14. Issue 11. Jon Frankel is one of Toledo Ohio’s Healthcare Heroes 2013. Research has shown over and over again that a Healthy Mouth promotes a Healthy Body but how do you get Dad to the Dentist? 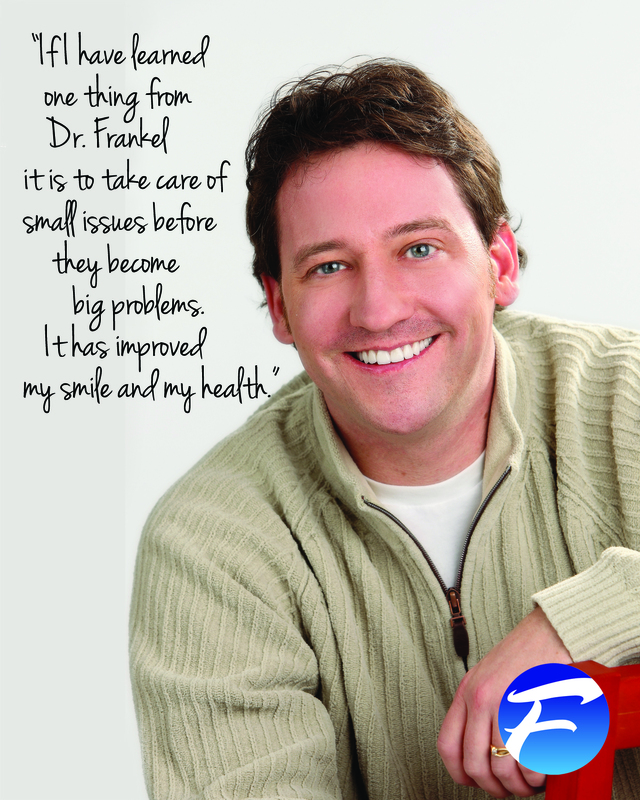 The Staff at Toledo, Ohio dentist, Jon Frankel’s office have five great suggestions. •	Schedule a dental appointment for a grandchild. Have Granddad take the well informed, enthusiastic patient. Young patients often show the way for hesitant adults. We have seen several Grandparents who came in at a suggestion from their grandkids. •	Remind your Dad to use his well earned insurance benefits before retirement. We hear regrets about lost benefits daily. •	Have a serious conversation if you suspect dental disease. Health disease, stroke, diabetes, pancreatic cancer and Alzheimer’s Disease have a strong correlation to dental and oral health. It may be a difficult chat but a healthy mouth promotes a healthy body. •	Give Dad a gift certificate to see his dentist. Often scheduling the first visit is all it takes to motivate patients to revive healthy habits. •	Remind Dads who snore that dentists offer an oral appliance that prevents snoring. You will all sleep better knowing your Father’s oral health is in check and his snoring has subsided. Dr. Sheldon Frankel often jokes, “Only floss the teeth you wanted to keep.” An indication of how deeply he cares for our patients is evident when our patients of 60 years up come in for their regular preventative visits. 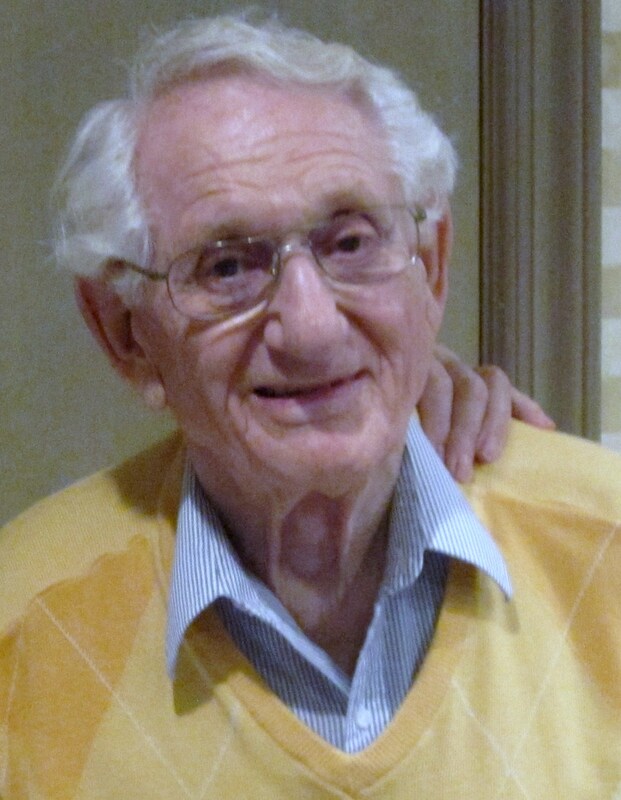 Dr. Frankel is 92 years young and his son Jon Frankel and daughter Karen Kearns continue the family tradition of caring for patients. They offer three ways your dentist care for fathers. 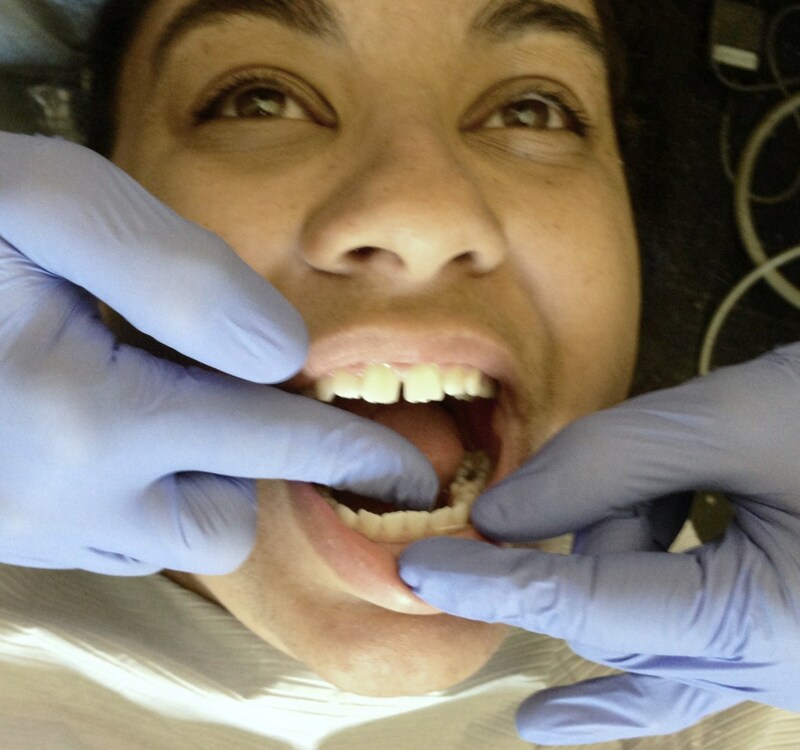 •	Complete needed dental care and continue with preventative visits. Heart Disease is the number one reason for death in men in the United States. Dental Visits promote heart health. •	Schedule regular preventative visits. Nearly 42,000 Americans will be diagnosed with oral cancer this year. Survival rates depend on early detection. •	Whiten Dad’s Teeth. A healthy mouth promotes a healthy body. Once Dad’s smile is healthy. Let us whiten his teeth. We have found patients who whiten their teeth, care for their teeth. It’s all about a healthy smile.